On meanwhile over 450 square meters area we offer, in addition to our main activity saddlery, also complete restorations (with emphasis VW beetle convertible, VW bus T1 and old Porsche 911). Here we work very closely with qualified body builders, painters, sandblasters and engine builders. In the following picture documentation, the career of the respective vehicle is recorded. 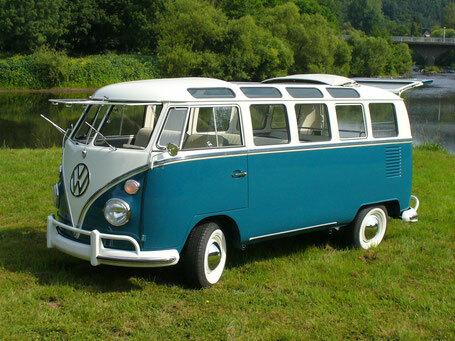 This vehicle is one of the last VW Bus T1 models as Samba. The vehicle was bought for a customer in Vienna. The former owner drove to last fabulous for 25 years with this vehicle every day. Also, this was a second hand vehicle. However, during dismantling, it was discovered that the tooth of time has nibbled neatly. After a good two years of restoration, we achieved a very nice result. Everyone, especially the owner, was more than satisfied. 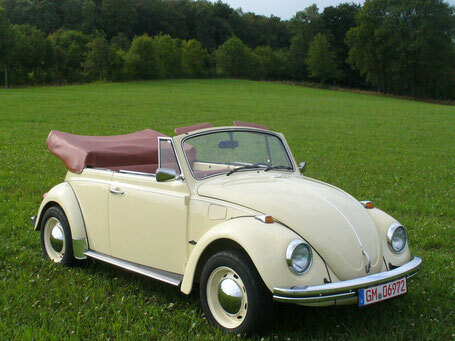 This vehicle is a VW Beetle Cabriolet, built in 1960. We found the Beetle partially dismantled in a dilapidated garage, where this has lingered since 1986. The former owner had begun the restoration and in the long following time lost the desire for this project. In November, the convertible was completely dismantled. We noticed that this is a vehicle that was never driven in winter. Only had to be renewed: both halves of the floor, the wall behind the rear seat and various corners in the threshold area. With a lot of fun, our team went to work and after only 8 months, the vehicle was better than new in front of us. Everyone was thrilled, a new owner was fast.